Are we poor? Think again after reading this..
People cry of poverty and say they have nothing to eat. A huge number of Pakistani people live under the line of poverty. Many are denied with the basic necessities of life. Yet we see long ques outside restaurants and massive traffic jams on roads. Sometimes I think who are all these people in cars, small and large ones, of middle class and upper middle class? What society they are representing? If everyone is deprived of transportation then where did these cars came from? So this news might tell you we are not a poor nation. 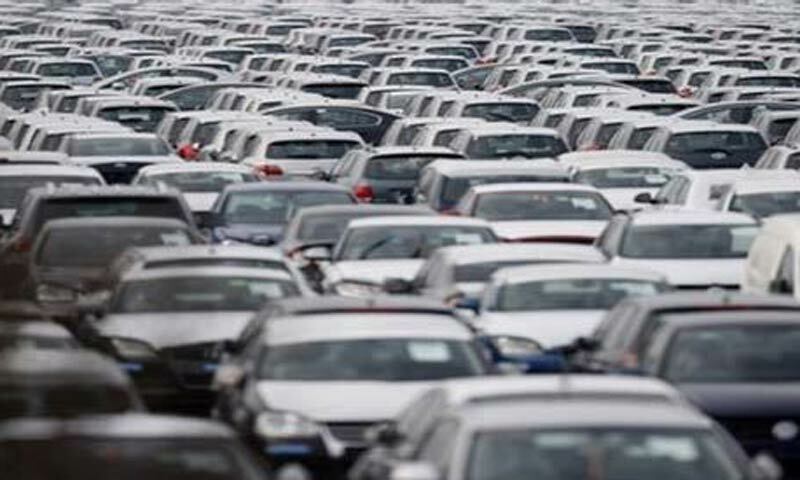 In March this year, Pakistan’s automobile industry broke the record for most number of cars to ever be sold in a single month; Carmudi–a popular car portal– reported. The introduction of car leasing and financing facilities has given rise to the increase in car sales by a multiplier effect in the country, as buying on credit has enabled consumers to experience an increase in their purchasing power. In previous years, when Pakistan’s car industry was booming, car rental businesses also arouse and appeared to be feasible business options. However, the prosperity of the Pakistani car industry was hindered by the financial crisis. As a result of which, prices followed an upward trend and the demand for cars fell. It was from 2012 that the sales of cars began to rise once again. The portal also says that car sales in Pakistan will be higher than they have been in the last five years. Similarly, other reports say that sales will be up to 165,000 in 2015. Surely people are on that good salaries as they can afford the installments. With the greatest number of cars being sold in the country within a month, three cars contributed to this, namely the Toyota Corolla, the Suzuki Bolan and the Ravi. The sales of the latter two automobiles doubled during 2015. This is the reason you might find ques of corollas in different colors wherever you go, in a shopping mall, roads, signals, markets, offices or anywhere. Another factor which may also have contributed towards the rise in demand for cars, is the State Bank’s decision to reduce the interest rate from 10% to 7%. It may also be the case that the interest that Volkswagen has shown with regards to extending their market to Pakistan, is a consequence of the rise in car sales. After many years we see new model of Suzuki car last year probably, which is also thought to be the most reliable and affordable car for all. When taking into account the relatively low profits made by the local car industry in Pakistan, a way to mitigate this unfortunate circumstance would be for them increase their competitiveness with the foreign car industry by using the latest technology. This would add to the attractiveness of locally produced cars in comparison to internationally produced cars to consumers. Many prefer buying Suzuki Mehran on Japanese cars and the new model got in demand. Yet this is proven we people of Pakistan can afford a car even if not food for our children. A poor and very low class does not even own a bike and all those who have accessibility to cars and fancy restaurants, means they are not poor.